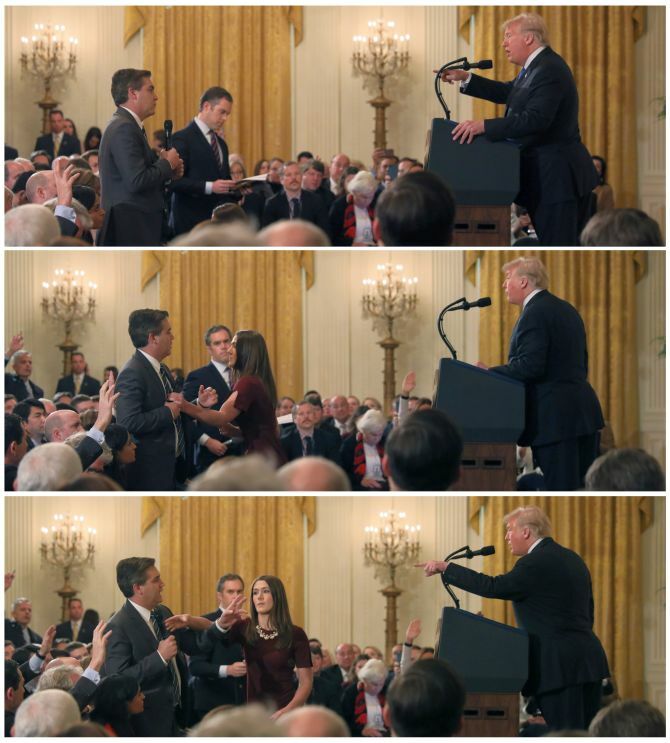 The US president called Jim Acosta a ‘rude, terrible person’ after he refused to give up a microphone while trying to ask a question. 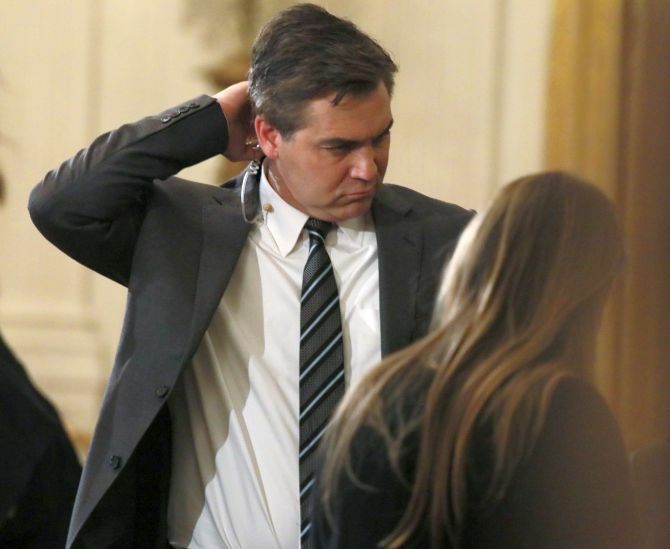 In an unprecedented move, the White House has suspended the credentials of a senior CNN journalist for his “disgusting and outrageous” behaviour, hours after he had a testy exchange with United States President Donald Trump during a marathon news conference. Trump leaned into the microphone and said, “Here we go” -- seemingly relishing the confrontation. “That’s what the migrants are trying to do -- they say they intend to seek asylum,” he said. Sanders claimed Trump has given the press more access than any US president in history. 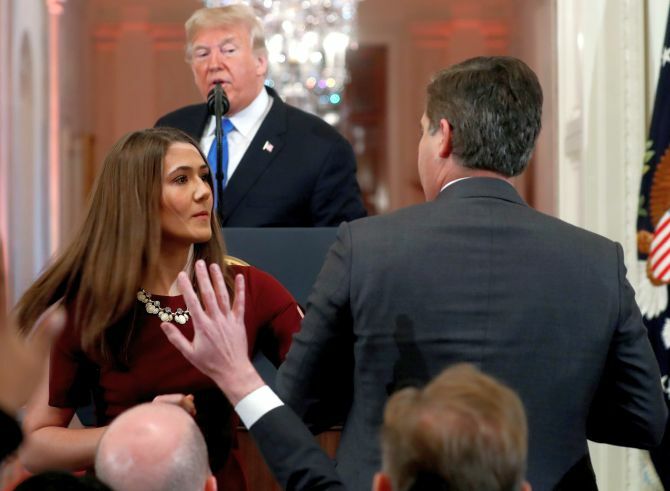 “Only they would attack the President for not being supportive of a free press in the midst of him taking 68 questions from 35 different reporters over the course of an hour and a half – including several from the reporter in question,” she said. 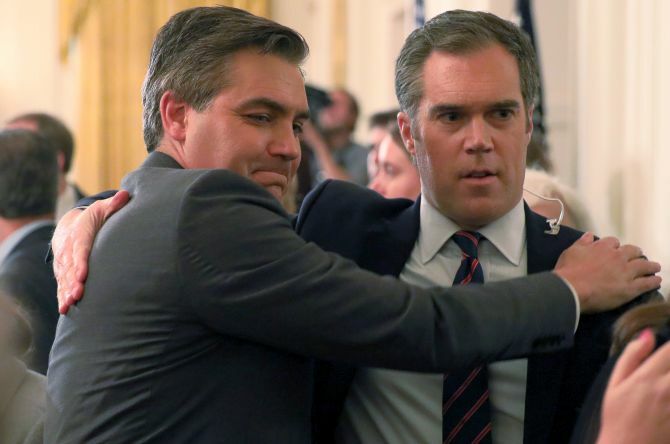 Meanwhile, the CNN said the revocation of Acosta’s pass “was done in retaliation for his challenging questions at today’s press conference...This unprecedented decision is a threat to our democracy and the country deserves better”. Acosta was stopped by the Secret Service from entering the White House about 7 pm. The White House Correspondents Association also said such a decision is “unacceptable” and urged the White House that it “immediately reverse its decision”. 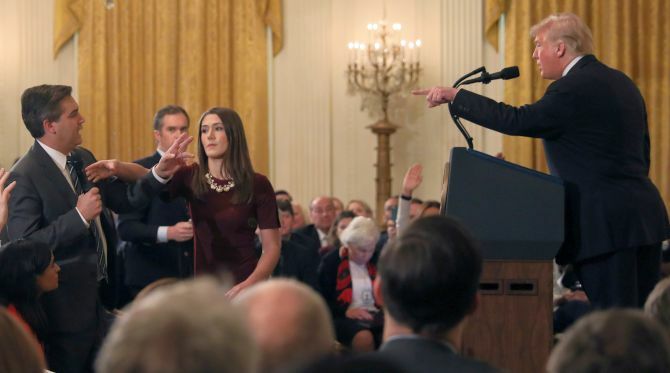 US President Donald Trump’s post-election news conference at the White House saw him getting involved in an angry exchange with the CNN reporter. “I think, that’s unfair,” the CNN journalist said.